Hamas, refusing to back down even as Israel smashes its Gaza infrastructure, is demanding a series of concessions from Israel. If Israel wants a cease-fire, Israel is going to have to pay a price, said a Hamas official Thursday. Mohammed Nazel, a member of Hamas' political wing, said that the terror group would not accept the cease-fire proposed by Egypt or anyone else unless substantial changes were made in the agreement. Formerly, as many as 100,000 Gaza Arabs had worked in Israel, but after the second intifada access to Israel was eventually closed off, due to the large number of suicide bombers and terrorists carrying out attacks in Israel coming from Gaza. Several years ago, Egypt closed off the Rafiach crossing to Gaza, opening it only sporadically, also in response to Hamas terror activities. In response, the terror group built a network of underground tunnels to Sinai, through which it smuggled weapons and parts for the rockets it fires at Israel, and to Israel, through which it could smuggle terrorists to carry out attacks. On Wednesday night, the UN called for a “humanitarian cease-fire” that would last for six hours, to enable Gaza residents to stock up on supplies. 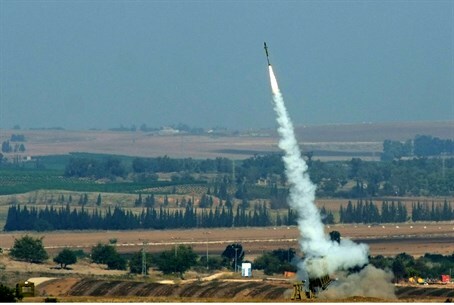 Israel agreed, but Hamas on Thursday morning continued its attacks on Israel, firing a round of rockets at Beersheva. The Iron Dome system knocked out four of the missiles.